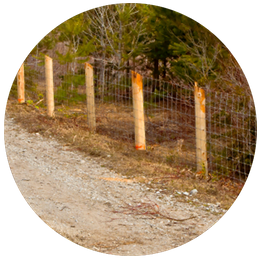 The experienced team at Simcoe Fence have been the fencing contractors that Simcoe County entrepreneurs and homeowners have chosen to work with for more than 45 years. Call us for fencing and gating recommendations that will meet your security needs, maintain compliance with local commercial fencing regulations and present an aesthetically pleasing view of your commercial, industrial, agricultural or municipal property or home. The durability of your fence depends on the materials you choose and correct installation. If you’re dizzied by the number of fencing options available to you, talk to your Simcoe Fence representative about your needs. We’ve researched the best fencing materials at every price point to give you recommendations that will justify your investment with years of reliable use. To give you the best value from your fence, your fence will be delivered and erected by our well-trained in-house crews to ensure strict quality control on your installation. 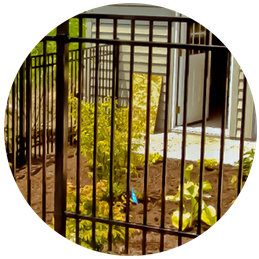 You can rest assured that your fence will stand up to the severe weather and ground conditions of Southern Ontario. 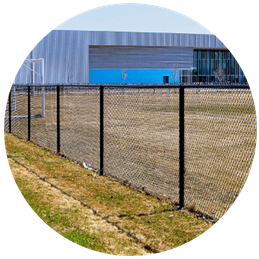 Our commercial fencing will allow you peace of mind knowing your business and equipment is protected from potential intruders and will also add privacy if you are located in a busy city area. We can even add a commercial gating system to make your property accessible to employees and authorized individuals while still controlling entry into the area. As a farmer, you know proper fencing is needed in grazing pastures and around crops. Control the movement of your livestock and keep it confined with our agricultural fencing. Our team is experienced in this area and can create a fencing system to protect your farm. If you are a homeowner, you want to feel that your home and family are protected and your property is defined. A residential fence can provide not only this feeling of protection, but also add a beautiful addition to your backyard space. Want to add even more security? Control access to your home with a driveway gate. Are you ready to start protecting your business, farm or home? Then it’s time to call us today. Speak to a member of our team about your project and we will give you a free quote. We service the South-Central area of Ontario, including - Newmarket, Bradford, Barrie, Orillia, Bracebridge, Huntsville, Parry Sound, Gravenhurst, Orangeville and Shelburne.